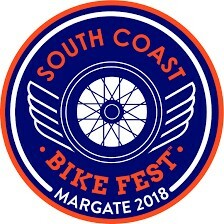 The inaugural 2017 event, which grew on the tradition of previous biking festivals in Margate, attracted a record number of close to 60 000 festival visitors and an impressive set of headline and fringe musical acts that created an almost Caribbean ambience and relaxed fun filled vibe. The event set along the palm fringed beachfront boulevard of Margate hosted a melting pot of cultural diverse stages from jazz, rock, headline contemporary, reggae, Afrikaans, street buskers, marching brass bands, trade vendors, pop up food villages - all set to the backdrop of the ever present, proud and leisure loving bike enthusiasts that travelled from around Africa to attend the famous resort town’s seaside festival. 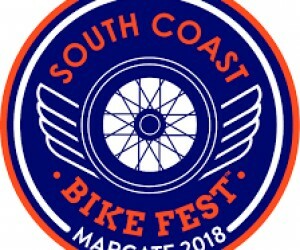 activities.” “We anticipate that 2018 festival will be truly great with bikers and the public having a splendid time on the South Coast”. All pre-registered motorcycle riders & pillions will have free access to the entire event precinct including main stage headline artist performances. The non biker public will be charged a very nominal fee of R60 per day to enter the event precinct with full access to the 3 main beach festival stages, beachfront boulevard themed bars, street entertainment, demo rides, trader, expo zones, stunt shows, food courts, EnduroX staging arena’s and all associated motorcycle enthusiast festival activations including the ever popular mass ride. Certainly one of the best festival bargains around.